The 5G mobile phone is no longer the “exhibition” in the lab. As the license issuance time approaches, each manufacturer has entered the “100m sprint” stage on the eve of the listing. Recently, Shanghai Mobile adopted Shanghai Nokia Bell's commercial AirScale 5G macro base station and ASiR 5G new room division system to build the first 5G macro-microscopic scale coverage experiment network based on the 2.6GHz frequency band in SAIC International Circuit. Vivo used the network to publicly display some 5G mobile pre-commercial scenarios, including 5G HD live video and 5G online games. In other words, this is the first time that a mobile phone manufacturer has gone out of the “laboratory” application demonstration in a 5G environment in China. “5G mobile phones currently have full pre-commercial capabilities. & rdquo; vivo 5G R & D director Qin Fei told reporters including the first financial, vivo is expected to officially release 5G mass production of new mobile phones in the Chinese market this year, and the first batch of 5G mobile phones will not be too expensive, the price The segment is about the same level as the current mobile phone. In addition to vivo, domestic headphone manufacturers have also made clearer plans for the timetable for the launch of 5G mobile phones. The reporter learned from many domestic mobile phone manufacturers that the first batch of 5G terminal products will be listed this year. From the current planning of the Ministry of Industry and Information Technology, the 5G network will start commercial trials in the first half of this year, and large-scale commercial popularization will be launched next year, and the licensing time may be further advanced. “5G will replace the 4G standard in the next few years. Compared with 4G, its function has exponentially improved, the speed has increased by 100 times and the capacity has increased by 1000 times. "We will continue to invest heavily in 5G for up to $57 billion in the next four years to build a higher network density," said Zhou Weiran, PwC Global, Mainland China and Hong Kong TMT Managing Partner. With the addition of spectrum and upgraded active equipment, the full technical potential of 5G technology will be realized in 5 to 10 years. From the product side, in addition to the shape of the folding screen, the initial form of the 5G mobile phone is not much different from the current mobile phone product, but the performance and speed have changed exponentially. 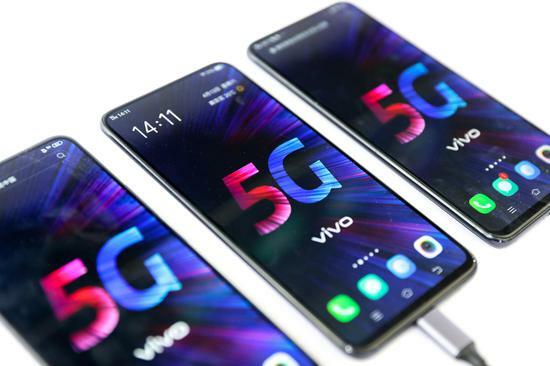 In the field test activities of Shanghai Mobile, the reporter saw that from the field test results, the vivo 5G mobile phone can stably carry out 5G webcast, 5G network games, high-definition video, and WeChat group video calls. 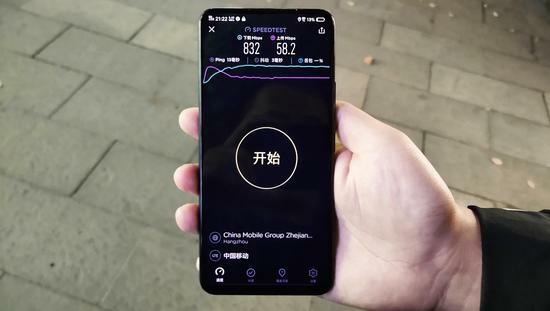 Qin Fei told reporters that the 5G network test rate of 5G mobile phones in the field can reach 800+Mbps, and the test speed in the laboratory environment is as high as 1.5+Gbps. “At present, in terms of stability, reliability, and power consumption, it is slightly larger than 4G and basically acceptable. Take the battery life as an example. In the previous 5G network, the mobile phone battery was used up for one hour, but from the current situation, it is close to 4G. It is not an order of magnitude difference, but a percentage gap. & rdquo; Qin Fei said that by using 3D duplex stacking technology on the motherboard to improve the battery area, more space can be left. Compared to hardware debugging, software adaptation is even more difficult for mobile phone manufacturers. According to the reporter's understanding, there are many 5G protocols, and different understandings of agreements and standards by various manufacturers are likely to cause problems such as “cracking”, such as turning a corner in the parking lot, and the instability of the signal may cause the mobile phone<; Crash & rdquo;. So at this stage, mobile phone manufacturers are still doing a lot of scenario testing to ensure smooth use of 5G in any situation. “Resolve a large number of jams and joint adjustments. This is also a difficult problem for the Vivo engineers to focus on the field test in the past few months. ” Qin Fei told reporters. Although the initial form of 5G mobile phones has not changed much, the imagination of the application has shown a variety of forms. “The 5G app will make 90% of 4K videos play smoothly, and it will also generate a lot of video content consumption, including live streaming and music stores. Cristiano R. Amon, president of Qualcomm, told reporters at the MWC at the beginning of the year that consumers no longer need to download music, because online listening is very convenient, and it has become a popular way to listen to music. But this will bring huge challenges to the broadcast and television industry, because every user with a 4K camera can become a news anchor. In addition, the social networking will also undergo major changes, because the network delay is greatly reduced, users can real-time with other People share their content. Vivo believes that the deep integration of 5G and artificial intelligence is bound to be the trend of the 5G mobile phone era. “The development of 5G communication and AI in the future will realize the intelligent connection between people and things, and will generate many new scenarios and applications. & rdquo; Qin Fei said, therefore vivo "will be the future mobile phone" as a 5G smart phone, will allow people to connect with many surrounding scenes, including mobile phones can connect more IoT devices, including smart home, smart factory. “After the official large-scale commercial use of 5G, the package traffic of the whole operator will have a big increase. Now the unlimited 20G speed limit will be dozens of times in the future. This is the ultimate state of 5G. The price is still the price. what does this mean? I have been watching 1080P for 24 hours a day, and the traffic can't be used for a month. Many industries dare to do more things that they didn't dare to do. ” Qin Fei told reporters. “Reviewing the early 4G, we were unable to judge the changes that vibrato, live video, O2O economy and so on will bring to our lives. 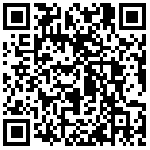 With the network and terminal devices, users and developers will promote unlimited creativity. This uncertainty and imagination is the greatest attraction of technological change. & rdquo; Qin Fei told reporters that the total investment in research and development in vivo in 2019 will be no less than 10 billion yuan, and has begun to launch 5G enhancement and 6G research and development. He believes that in addition to the regular communication, information, games, entertainment, camera and other functions of 4G mobile phones, it is more important in the 5G era that 5G applications can settle on the practical functions of users, and they are willing to pay for 5G. Look for the phone, Out of Google Search, and let users and customers talk directly.